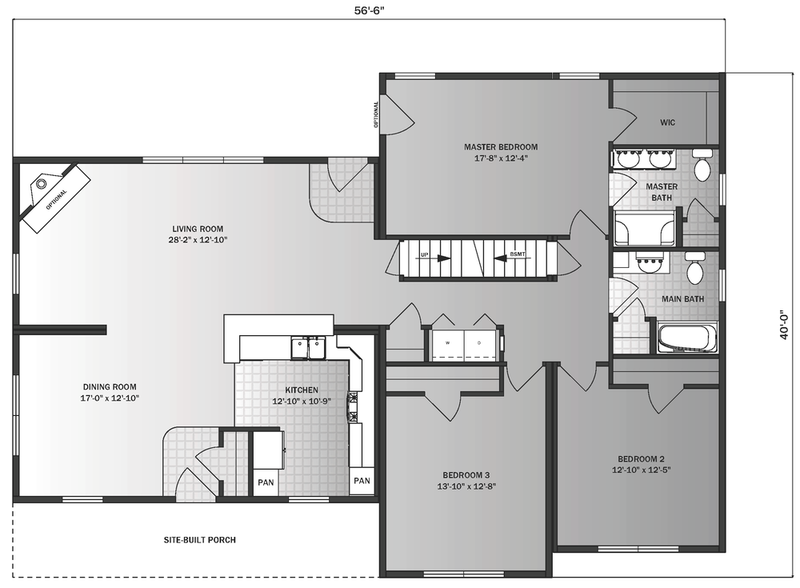 The Clearfield II features open living spaces and secluded bedrooms. With a rear-facing living space, the plan is perfect for those with a rear-facing view. The Clearfield II is shown here with a site-built front sitting porch, and the options are practically limitless for a spacious back deck. 3 Bedrooms | 2 Baths | 1,792 sq. ft.